Good morning my sweet friends & welcome back to another "Inspiration Wednesday!" Today my AWESOME team & myself created cards from something that inspired us! 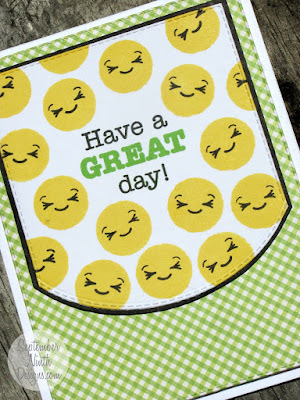 The inspiration behind my card is that cute jar stamp & die set "My Thoughts are with You"! When I designed that set, it TOTALLY inspired me to use the roses from the "Love You Bunches" set & put them into this jar as a vase! 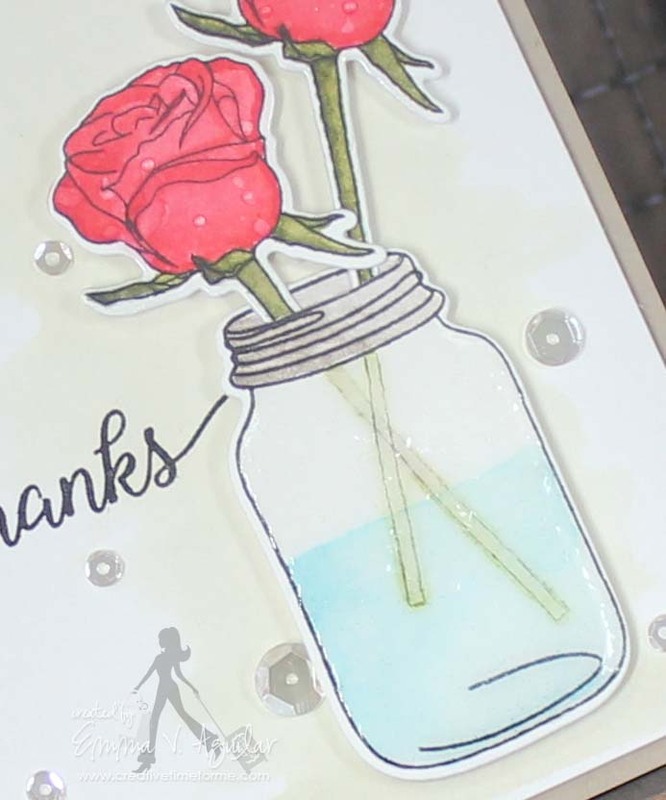 I kept this card super simple so you can focus on the roses in the jar! I just watercolored the background using Tim Holtz OLD PAPER ink to do a very soft background! Next I used Tim Holtz BARN DOOR, FESTIVE BERRIES, FOREST MOSS & PEELED PAINT to watercolor the roses. For the jar, I used Tim Holtz PUMICE STONE & TUMBLED GLASS. Well, back to the watercoloring, as soon as I was done coloring all of the images, then I used the coordinating dies to but them out using my Vagabond. I used lots of pop dots to pop up the cute flowers in the jar so they can stand out! I stamped the sentiment from my BELIEVE IN YOUR DREAMS set! Last I added some sparkly clear sequins from Pretty Pink Posh, adhered it to the base of my card & called it a night! ;) I "wish" I would've been able to take a better picture so you can see how shiny it is in real life! Good Morning Miss Emma OMG Your card is so beautiful Your roses are Gorgeous You really did a great job on water coloring everything the colors are fabulous and pretty. I do love that you used just 2 roses definitely makes a statement & I am a huge fan of the Mason Jar and to me your pic is perfect but have to say I know it's amazing in person it's so hard to capture the shine! Cute story share and yep remember learning to type and for me it was the Underwood. Thanks for sharing your sweet Anthony Story definitely a moment in time to reminisce back on! Have an awesome day!! YOU ROCK!! Gorgeous card, Emma!!! The roses look perfect in the jar! Your card is so pretty! I like how you did the stems to look more like they are in water and the glossy is perfect for the jar. That is a lot of area to cover with the glossy! 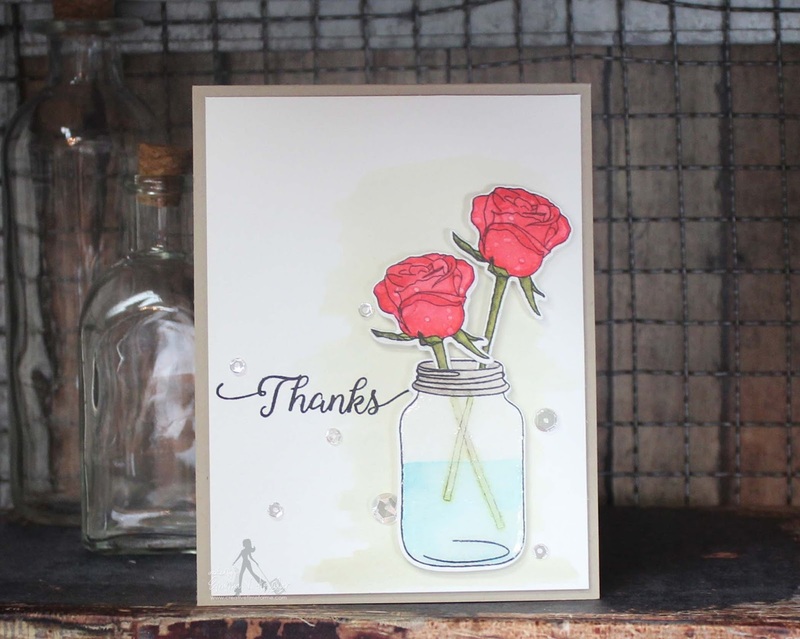 I like the soft background water coloring and the sentiment is so pretty with that font...nice choice. I love what the team created today...always fun to see their take on the inspiration. Fabulous job everyone! Beautiful cards...I learned on a typewriter too...shhhhh!!! 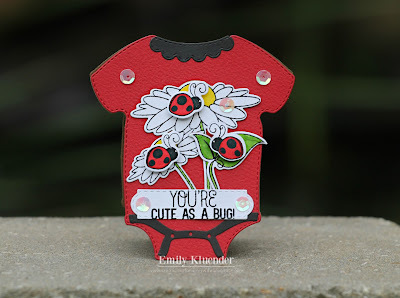 Beautiful cards and tags .... can't wait for the sneaky peeks!! Emma you are such a great Mom.